This is a sponsored post from Eve Thompson of Reston Real Estate. For a more complete picture of home sales in your neighborhood, contact her on Reston Real Estate. I’ve been writing about the fast pace of Reston real estate and about the constrained inventory. It’s true that things are moving fast — although not all segments of the market are moving with the same intensity. More than half of Reston’s current housing inventory is condominiums. Condos also account for slightly less than 50% of the year-to-date property sales. This segment of the market has its own dynamics. I’m always writing about the price sensitivity of our markets — this is especially true in the condo market. Because the condo market has a larger supply you must price to drive motivation from the buyers. Presentation is also especially important in the condo market — you have more competition so you need to make your property stand out to the buyers. Reston has a huge variety of types and prices of condos, from very low density properties like Vantage Hill to much more urban settings like Reston Town Center. Likewise, prices cover a huge range as well; current condo listing prices go from a low of $189,900 for a garden style in South Reston to $1,750,000 for a penthouse property in Reston Town Center; clearly something for every price point. For many buyers condominium living has a lot to offer. If you’re a person who can deal with living in closer proximity to your neighbors, then condo living might be a good option. Many people love being able to just shut the door and go without having to worry about yard work and everything else that comes with single family living. The impact of Metro on Reston is hard to miss. Anyone who’s tried to cross the Dulles Toll Road at rush hour can attest to changes we’ve gone through over the past 5 years. In addition to the impact on traffic and travel, Metro has also had an impact on neighborhoods. Over the next several weeks I’m going to write about neighborhoods that fall within a 1 mile radius of the three Reston/Herndon Metro stops. This week we’re looking at Polo Fields. Polo Fields consists of approximately 400 single family homes that were built between 1981 and 1996. They range in size from over 3000 sq. ft. with 6 bedrooms and 4 bath units, to more modest 1800 sq. ft. 3 bedroom 2 bath homes. They generally have nice flat yards that are great for kids and dogs. Many of the houses boast beautiful and welcoming front porches. Home prices over the past year have ranged from a low 508,000 for a smaller (1875 sq. 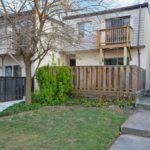 ft.), property that needed a good bit infrastructure work like windows, roof, HVAC, etc., to a high of $735,000 for a larger 300 sq. 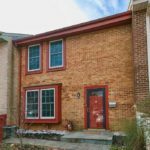 ft. plus a finished basement, property that was in tip-top, move-in ready condition. 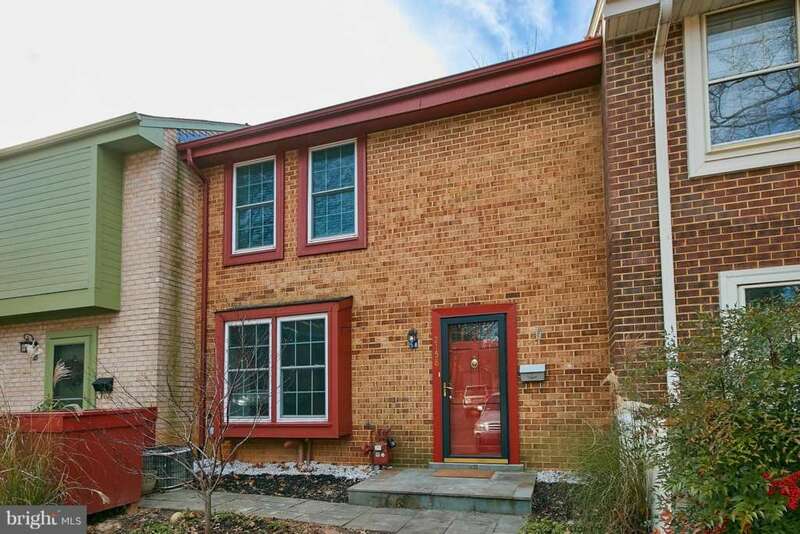 This has always been a neighborhood that sells well — days on market last year averaged just 14 days, which is about 1/3 of what the overall Reston market averaged. These homes, which are already really, really desirable have gotten a HUGE location upgrade. Every single one of them is less than one mile to the new metro stop — all of them are a 20 minute or less walk from front door to station — many of them are fewer than 10 minutes from door to station. It was a really good neighborhood before — being walkable to the Metro bumps this neighborhood up to super desirable. I admit I’m partial to Lake Anne neighborhoods — they are beautiful and convenient to all the amenities Reston has to offer. 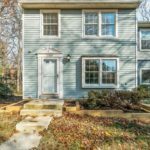 Lake Side Cluster is a great Reston neighborhood that does not get as much attention as its famous neighbor, Waterview Cluster. And frankly, the community likes it that way. This is a friendly, quiet, unassuming neighborhood. 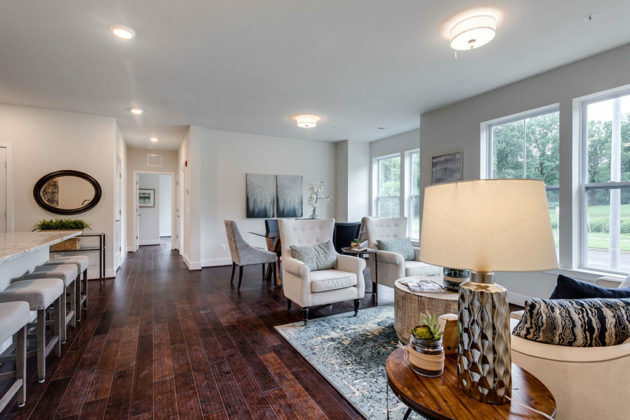 Lake Side Cluster has everything all of the neighborhoods that border Reston’s Lake Anne share — access to the lake, a quick walk to Lake Anne Village Center, well-designed homes (many of which are direct lakefront). Lake Side Cluster was built between 1965 and 1969, and comprises 90 lovely two and three level townhouses and patio homes with two to four bedrooms — and garages (which makes them different than most of their Lake Anne neighbors). All homes have lake access via a trail to the cluster dock, even if they are not direct lakefront property. The Cluster couldn’t be positioned better. It is located on Greenbriar Road and Orchard Lane off Fairway Drive, which is the south shore of Lake Anne. Fairway Drive provides easy access to both North Shore Drive and Wiehle Avenue. For families with children, the cluster is an easy walk to Lake Anne Elementary. Children also attend Langston Hughes Middle and South Lakes High School. For the parents, Lake Side Cluster is only 1.5 miles to the Reston Station Metro, and a short hop to Reston Town Center and the Toll Road. And, of course, a five minute walk to Lake Anne Village Center — home of the Reston Farmer’s Market, the Brew House and of course the Coffee House & Wine Bar. 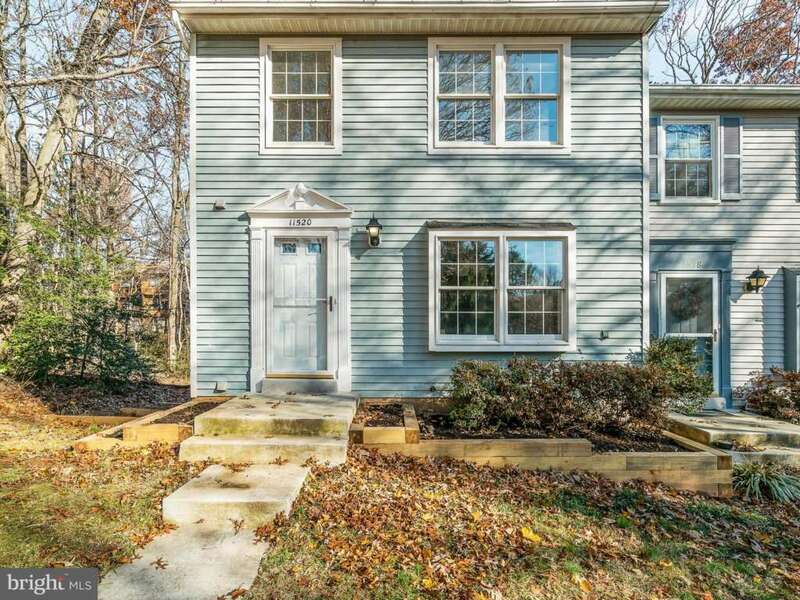 Bentana Woods is one of those Reston neighborhoods that makes you forget you live in a bustling urban area. 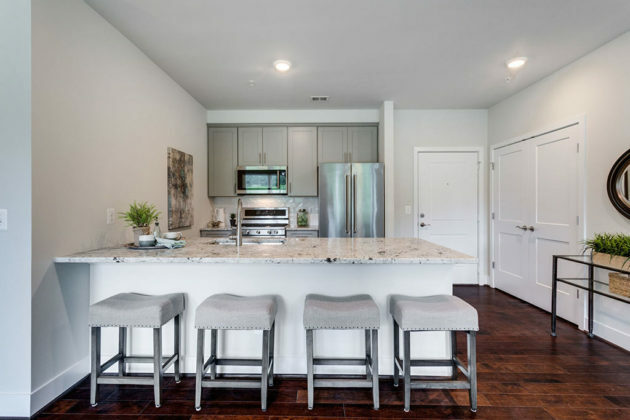 Built in1972 by Bennett of Virginia, this community is located in the Tall Oaks section of Reston, Virginia — about 1 mile from the Wiehle Metro Station, a quick walk into Lake Fairfax Park and short drive to Reston Town Center or Lake Anne Plaza. 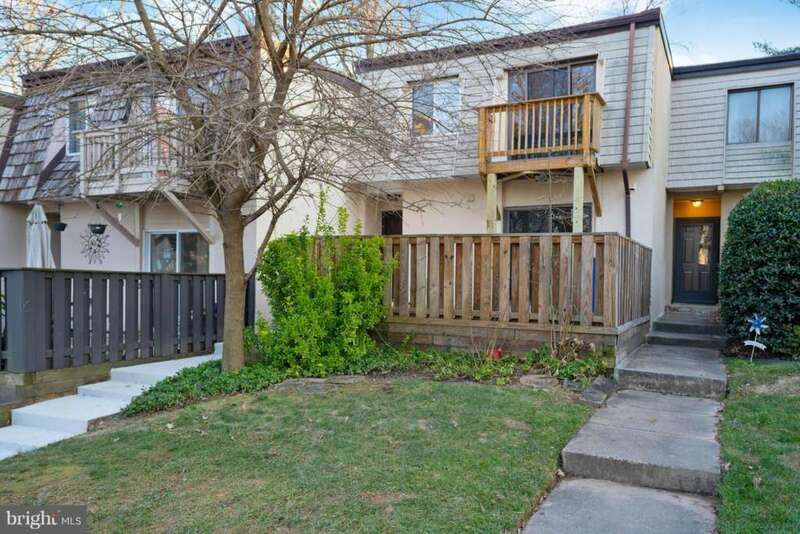 The location is fantastic, which makes the fact that these townhouses are charming and well-designed even better. Bentana Woods is actually two separate clusters — Bentana Woods Cluster has 48 homes while Bentana Woods West has 108 homes. More than 50% of the neighborhood lands are common areas with open grass, tot lots and stands of trees — trees that the National Wildlife Federation has certified as a Backyard Wildlife Habitat. The townhomes feature 3 to 4 bedrooms with about 1,700 square feet of living space. It will be interesting to see the new construction come up in the location of the old Tall Oaks Shopping Center. I think it will bring some positive exposure to this wonderful neighborhood. If you want to be close to the action, but feel like you’re living in a National park, Bentana Woods is the Reston neighborhood for you! 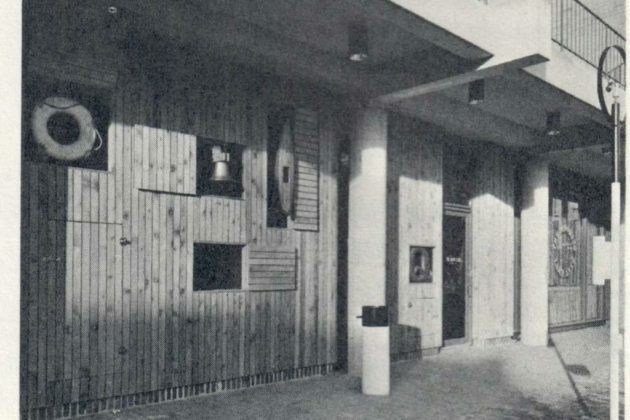 In May of 1966 when the Lake Anne Village Center was dedicated it was like a scene out of “Mad Men” with its modern architecture and edgy hip vibe. The Plaza architects, Whittlesey & Conklin hired a graphics design firm out of New York, Chermayeff and Geismer, (now Chermayeff, Geismar & Haviv) to create an advertising package for the Plaza storefronts. While the goal was advertising, the results spoke of the pop art aesthetic of the time and reflected Bob Simons wish for whimsical artwork on the Plaza. Sadly, most of the icons have been lost to time, or have been modified to reflect the current business. 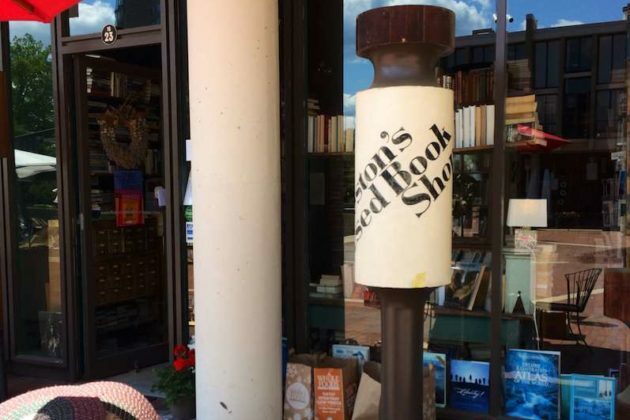 The Reston’s Used Book Shop pillar sign was originally a giant barber pole! The last of the icons resided on Lakeside Pharmacy, in business for 44 years before owner Larry Cohen retired. When two new businesses moved into the old Pharmacy space a new store front was created to provide more glass storefront. 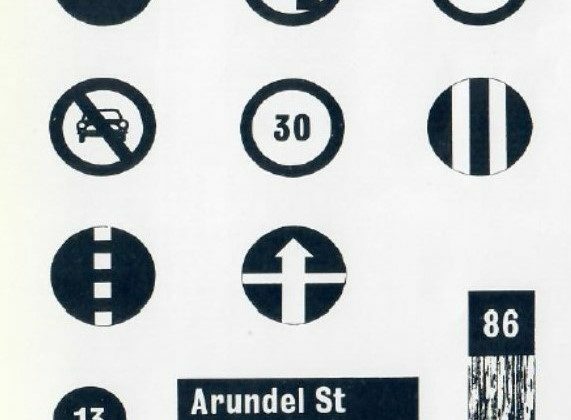 The icons were donated to the Reston Historic Trust & Museum in order to preserve them. The icons have been cleaned up, preserved and are ready to be installed on the Plaza as part of a permanent exhibit that highlights the history of the Plaza. The museum is doing a fund raiser to pay for the permanent installation of the icon exhibit. 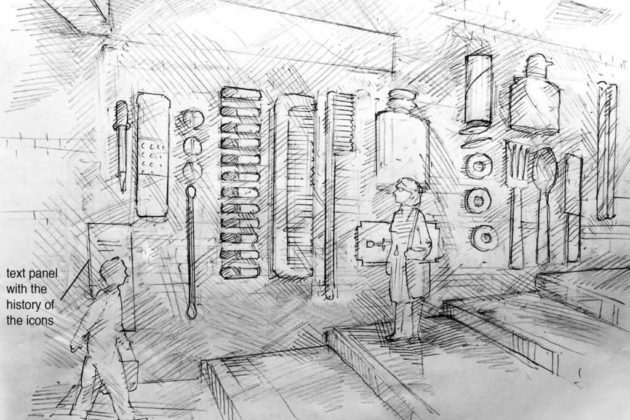 The exhibit will be installed in the wide pass-through that leads up to Chimney House, next to Singh Thai. The goal is to raise $15,000; they’ve got a ways to go but are hopeful that with help from the community they can get there soon. I hope you’ll consider a contribution to preserve a piece of our history. You don’t have to be a real estate investor or a house flipper to share in the benefits of buying a fixer-upper. I encourage all of my buyers to consider houses that will require some work to get them back into pristine shape because I know it represents the very best opportunity for gaining equity quickly. What qualifies a house as a good fixer-upper target? Location — you want the worst house in the best neighborhood. The old real estate adage is true, location, location, location. It’s the only thing about your house that you can never change is where it sits. If you’re going to buy a fixer-upper look for one in a great neighborhood; you’ll benefit from the higher values of your neighbor’s homes and protect your ongoing investment as you bring your property up to snuff. Develop an eye for cosmetic problems and be suspicious of potential structural problems. Old wall-paper, peeling paint, tons of stuff piled in the yard? These are relatively easy fixes, even having to replace old windows or an HVAC aren’t difficult things to do with the right expertise but, a structural problem can be serious and it can be seriously expensive to correct. Arm yourself with knowledge by assembling a good team of subject area experts, inspectors and contractors and in Reston be sure you understand the design covenants of the property you’re considering — knowing what you’re getting into will protect you from costly errors down the road. Reston’s housing inventory is holding steady at 117 properties. The past 30 days saw a drop in the number of settlements which is consistent with the holiday season just past. What is really interesting is looking at the properties in a “Pending” status. These are homes that have sold in the last 30 days that are making their way through the sales process. What’s interesting about this group of pending properties is their average “Days on Market” is 18 compared to an average of 63 for the houses in a “SOLD” status over the same 30 day period. 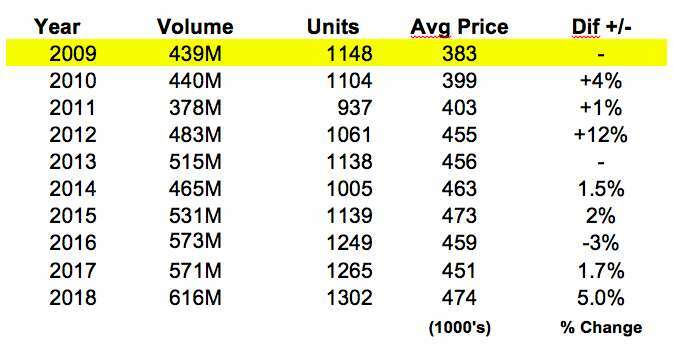 What this tells us is that demand is on the increase, good news for those considering listing their homes for sale. If you are thinking of selling — take these simple steps to shorten your days on the market and maximize your sales price. And don’t forget to go through your pre-listing cleaning checklist. Purge, purge, purge. If it’s not something you’re taking with you to your new home, get rid of it now. Clean, clean, clean. After you get rid of your excess abundance, make it clean as you can. Clean it from top to bottom — light switches, light fixtures, door jams, base boards. It’s the least expensive thing a home seller can do to help get their home sold. Get to the right price. Even in a fast moving market you have to be at the right price. Every home on the market has a sweet spot that says “this is the right price for the condition and updates of this home.” Don’t leave a lot of room in your price; it just encourages buyers to wait. I’ve been working with a buyer that wants new construction which has taken me into Reston’s newest neighborhoods. It’s been fascinating to explore these areas — seeing the new bump up against the old and start to get of sense of what could emerge. Reston’s most recent round of residential construction outside of Reston Town Center was 2005/2006 when the Mercer Building and Carlton House were built. All of the construction since that time has been luxury apartments. The Sekas Homes project, called Sunrise Square has a prime location within half a mile of the current and future Metro stops. The project includes a 10 unit condo building and 34 townhouses. The condo’s which are nearly sold out are light and roomy with beautiful finishes, many of them have views of Reston National golf course. The condos also come with enormous temperature controlled storage rooms located in the basement of the building which makes them great for empty nesters that haven’t quite purged off all of their old life possessions; or anyone with hobbies and gear! For those worried about the vertical nature of townhouse living there is a floorplan that includes an optional elevator. 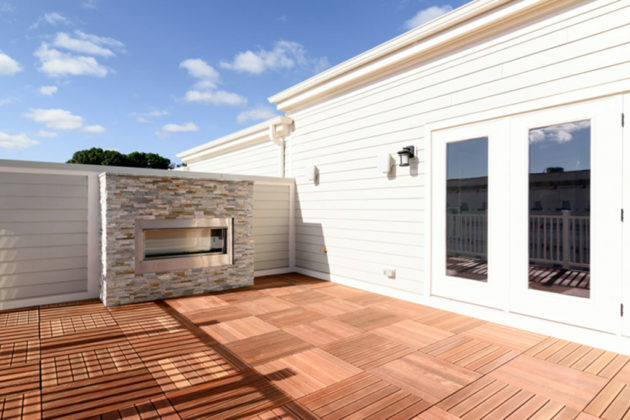 Other options include outdoor fireplace for the rooftop terrace. 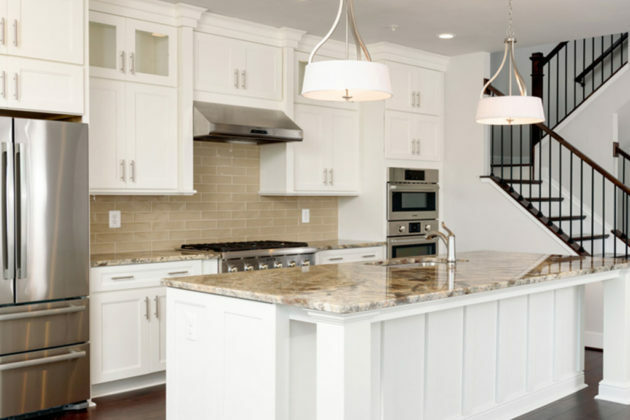 Sekas Homes is an award winning custom home builder with a reputation for beautiful high quality projects. They’re known for their green building methods and have won awards from the city of Vienna and Fairfax County. Residents of this new neighborhood are full dues paying members of the Reston Association and have access to all of Reston’s amenities. It’s not just about the houses. One of the biggest surprises of being in real estate was realizing how little the work turns out to be about houses and how much more it is about walking with people as they navigate different life transitions. I love the HGTV real estate shows where the real estate agent shows a buyer 3 homes and voila, they pick a house, write a contract, move in and the next time you see them they’re at a house warming party — all this in 30 minutes. As is often the case with realty TV, it’s not very real. In real life people are dealing with all kinds of events that are driving them from one place to another place. Some are happy, some are sad, some are speculative but it is mostly about life changes, marriage, births, deaths, retiring, divorcing, new jobs and lost jobs. Sometimes it’s about more than one thing, a new marriage and a new job. Change is almost always hard for people; we are rarely at our best when we’re moving through transitions. Real estate agents spend a lot of time with people who aren’t at their best, but they might be more real than if you had met them at a cocktail party. It’s one of the things I like about my job, the connections that are made if only for a short while. Here are the Reston numbers. There are currently 104 fully active properties on the market in Reston. We have 55 pending properties which leaves us with a little less than two months inventory. Obviously in our market a prolonged government shut down will be damaging to our housing market but hopefully we’ll find a way past that impasse soon! Reston had a really strong 2018 in real estate. The total volume of transactions will finish at about 1,300 and the average home price was 474,000 a 5% increase over last year. Inventory of homes for sale has been very low but hasn’t caused any type of panic in the buyers, nor has it embolden the seller to push their list prices up. Days on market are now averaging 40, and about 45% of 2018 transactions included a seller contribution to the buyers closing costs. Reston continues to be an appealing housing market for many buyers. The metro, the Dulles Tech corridor combined with diverse housing options and great amenities puts Reston on the top of a lot of buyer’s lists. Here are the numbers for the past 10 years. I often hear debates about the value of amenities in communities. For those of us that are lucky enough to call Reston home we have an absolute treasure trove of events and activities to choose from to fill our leisure time. Last Sunday I attended “From Here to There” featuring opera singer Elizabeth Bishop performed at the CenterStage at the Reston Community Center Hunters Woods. It was a lovely evening of storytelling in song and all the more amazing to think that it was available to us all, right in our own backyards for a mere $15! The CenterStage is about half way through its season but there still lots of great shows to see. The weekend of January 19-21 is the annual Dr. Martin Luther King Jr. celebration. This year features a concert by local artist Crys Mathews. If you haven’t seen her I urge you to get tickets, she’s a remarkable singer songwriter, cut from the cloth of the justice and protest writers of the past but current and relevant in every way imaginable. The CenterStage season offers a wide range of shows from music to dance to discussions with notable public figures like CBS News commentator and comedian Nancy Giles. If you like jazz you’ll want to take note of Jazzmeia Horn on March 30. She’s amazing! There really is something for everyone. This may not seem like it has much to do with real estate but the RCC is a huge value-add to the community — I would argue that its presence in the community, and all the ways it strives to enrich daily life for us all, adds to the desirability of Reston. I’ve been checking out the new construction that’s popping up along Sunset Hills Road and Sunrise Valley Drive. As a long time Restonian it’s a little unnerving to see the crush of development taking place in areas that were previously office parks and light industry enclaves. The new Pulte Homes project on Michael Faraday felt especially jarring to me. As I stood in a beautifully finished living room I experienced a kind of cognitive dissonance; every previous trip I’d ever made on that end of Sunset Hills Road has been related to dental appointments, trips to the Post Office or picking up to-go meals from China Star. Now I was looking at an evolving skyline, two blocks away was the striking face of 1900 Reston Station — the Helmut Jahn building; beyond that the cranes are visible for the other mixed use projects that are coming to Sunset Hills. 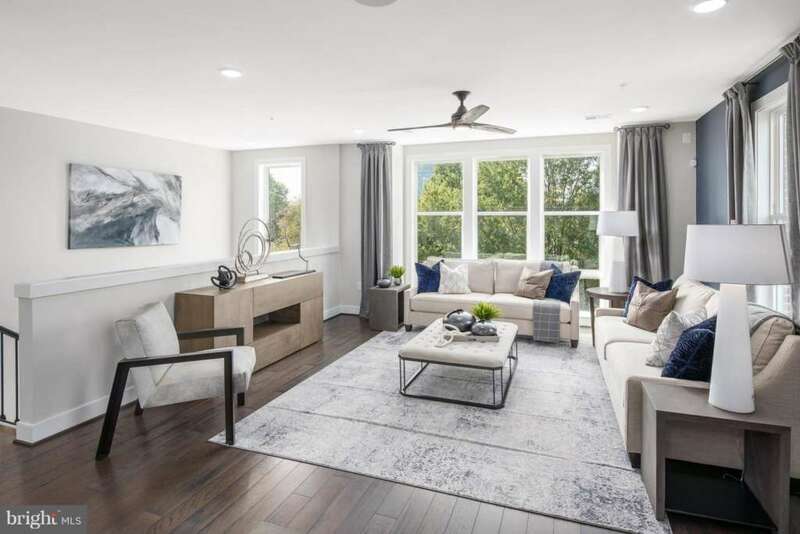 The Pulte Homes project is the first of many to come along Sunset Hills Road that will create an entirely new Reston neighborhood, one with a much more urban feel to it than any other we’ve seen before. The Pulte project is called Lofts at Reston Station. It is comprised of 12 two level row house styled condos and 32 one level condos in an elevator building. The one level condos offer 7 floor plans all two bedroom, 2 full bath units ranging from 1,274 sq. ft. to 1,668 sq. ft. 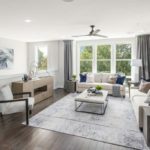 The baseline features include 9 ft. ceilings, hardwood floors, granite counters in kitchens and baths and a full range of energy efficient and smart home technologies. It will be interesting to watch this area develop over the next several years, transforming into a walkable, transit focused and very dense neighborhood. It looks like this neighborhood is on a path to develop into something that will have a core to anchor it — the Metro Plaza. It will be interesting to watch that plaza evolve as the community settles in around it as residents rather than commuters. It’s not unlike Reston’s early developments, creating the gathering places, adding the residence and then letting it bubble into a neighborhood. I don’t typically hold to the notion that one time of year is better for selling your home versus another. For as long as I’ve been selling real estate, I have always had at least a couple of transactions around the winter holidays, but conventional wisdom says that there is something magical about spring. As of this writing there are 87 days until spring. I have two listing appointments this week with sellers that want to go over what they should do to get their property ready for the spring market. They’ll be surprised when they find there is a long list of “to do’s” to get a house ready for the market. The first place to start is by cleaning. I don’t the mean the vacuum & dusting kind of cleaning. I mean the scrub the grout with a tooth brush kind of cleaning. I mean you do your best imitation of your crazy Aunt Saddie with the obsessive compulsive cleaning disorder kind of cleaning. Some clients opt for hiring a cleaning crew; if you’re going to do that you should de-clutter your house before bringing in a cleaning professional. And if your “to do” list includes painting, save the professional cleaning for the last item on your list. So what does the typical seller “to do” list look like? Reduce contents of all closets by half. Stuffed closets speak to prospective buyers — they say “this house doesn’t have enough storage.” This may not be the case; maybe you’re just really bad about getting rid of the excess we all seem to accumulate. Neutralize your home. Pre-pack most of your personal items like family photos, your ceramic frog collection and other things that can distract buyers from seeing the house. Be prepared to put furniture and other items in storage. 50% of the houses I see prior to listing need to be painted — go neutral. Clean everything — every, nook, cranny, light switch cover, door jamb, door knobs, everything. Do not overlook the utility areas of your home, they should be thoroughly cleaned and organized including the area around the furnace and water heater. A super clean and orderly home says “I have been well maintained.” A clean house reduces buyer anxiety. One of the first things I do for clients after signing a listing agreement is to drop off 100 office sized boxes to be used to de-clutter, or as we like to call it, pre-packing. A home that is free of clutter makes room for the prospective buyer to mentally picture themselves with their own possessions in that home; which in turn helps to move the buyer from thinking to acting…writing a contract. 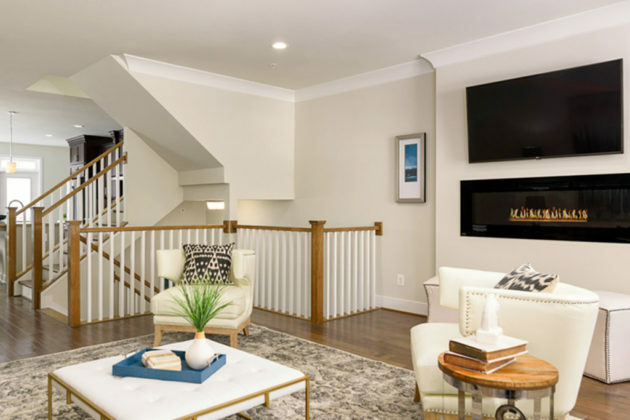 The more you can do to clean, organize, neutralize, paint and upgrade, the faster your home will go from being on the market to sold. 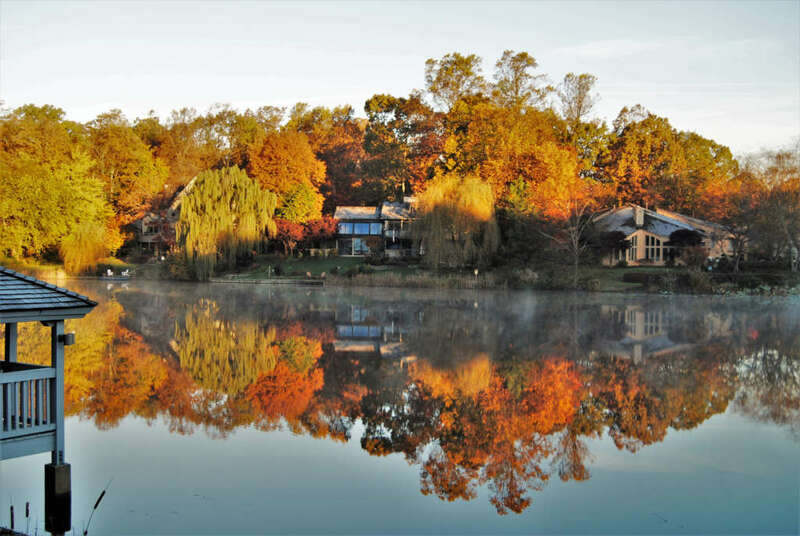 Restonians love their lakeside living and Chadd’s Ford Cluster is one of the many townhome communities in South Reston to take advantage. This neighborhood of 57 brick and siding townhouses is located off Ridge Heights Road on Lake Thoreau — about half of those are direct lakefront properties. The cluster was built between 1978 and 1980, and each three-level home has two to four bedrooms. And, all homes have at least two assigned parking spaces. For those who enjoy boating or rafting, Chadd’s Ford Cluster owns and maintains two docks for the residents and guests to use and enjoy. Any day the weather is nice, you’ll see people making the most of living on lovely Lake Thoreau. For those who like leisurely walks or runs, the Reston Association paths run through the cluster. It’s a beautiful, short walk to South Lakes Village Shopping Center for dining and shopping. For families, Chadd’s Ford Cluster is walking distance to South Lakes High School, Langston Hughes Middle School and Terraset Elementary School. This is the kind of neighborhood where you can see the residents’ pride in the beautifully manicured landscaping. The cluster association sponsors several social gatherings each year, adding to the warm community feel. Give it a visit and you’ll see what I mean. This is a wonderful neighborhood.